Ofenkartoffel translates to Oven Potato and is also known as ‘Baked / Jacket Potato’ in other parts of the world. 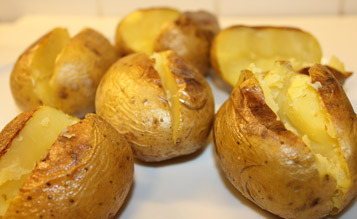 Potato being one of the main food in German cuisine, this food item also holds a predominant place. Yea, ideally it is potato baked with the skin the oven (also in Microwave) and not boiled like we do in typical Indian Cuisine. This can be had as a full meal or even as a snack with interesting fillings. I relish these Ofenkartoffel and is definitely a Vegetarian’s delight. For tongue that is used to spice, this will be a bit bland. The fillings for these potatoes allows room for creativity – one can top it with simple butter or cream or add some shredded carrots & more. 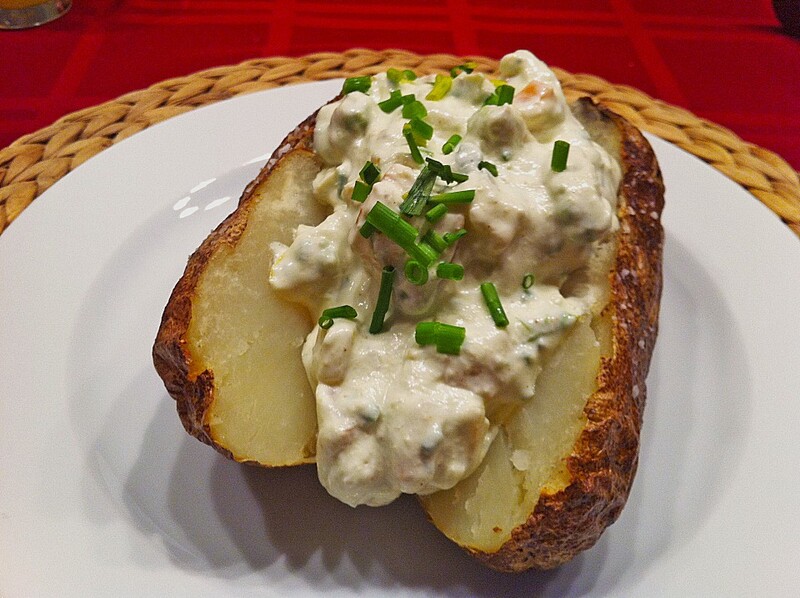 Usually the variety of potatoes used for this Baked Potato recipe is large & hard ones. Of course, one can try & test with the variety available in the local market. sour cream 😀 😀 😀 yummmmm don’t tempt ya Jenz.